A contract is a binding agreement as well as a legal document between you and your client. This option is creating a Contract without a Proposal. 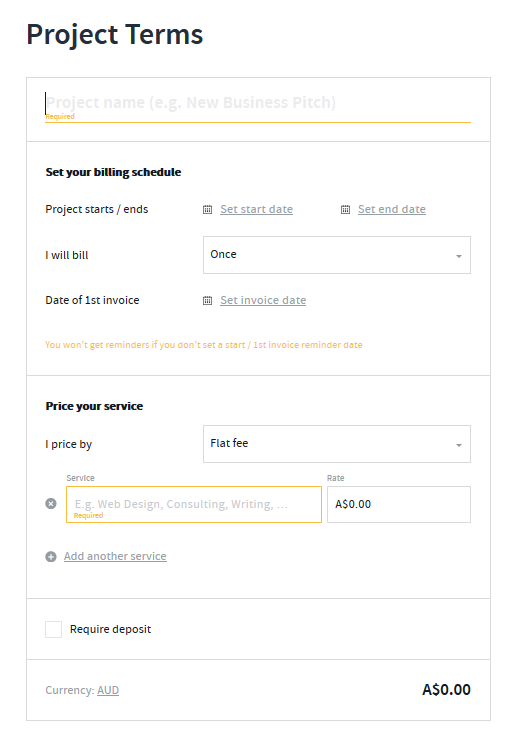 Select an existing client from your client list or simply select a "new client"
These are your service details of the contract, also known as your billing terms/rates/fees. Once you have set your project terms/scope select to continue. You will see the option to edit the custom contract settings and you can edit any of these by selecting the edit settings option. 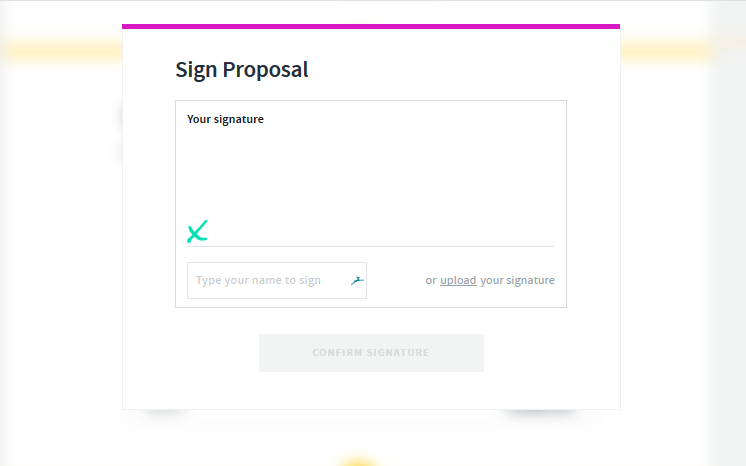 You will also be able to edit the contract further by selecting the yellow edit option. You can also save the contract as a draft by selecting the options tab top right > save. Once you have signed and confirmed your signature you will be asked to confirm your clients email address, add/remove recipients and edit your personal email message before finalizing and sending. How Can My Client View/Sign The Proposal/Contract. 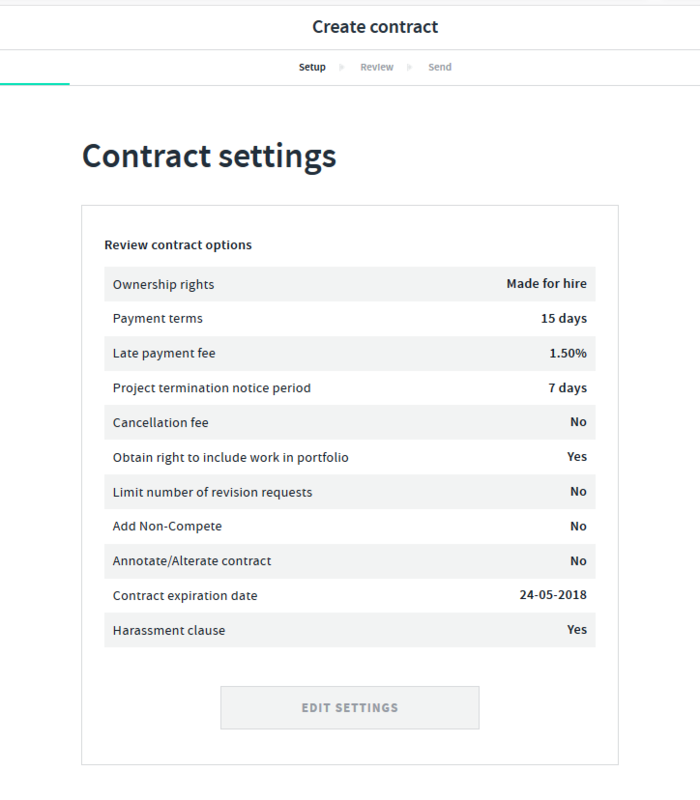 Click here for more information about our brand-new AND CO Pro feature: Fully-Editable Contracts!